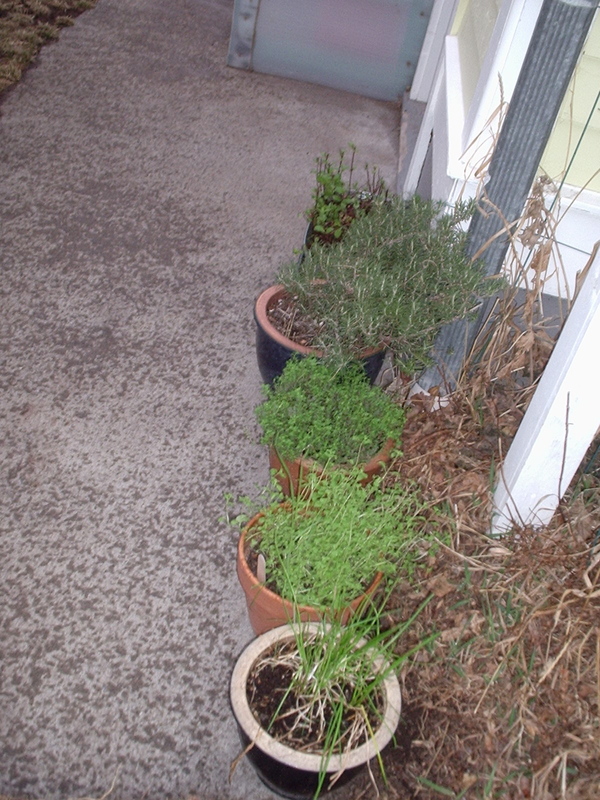 It’s raining today — a nice soft spring rain, so I took the poor scraggly herbs from the Winter Herb Garden and put them outside the back door. The rosemary seemed particularly crunchy, but it did it’s job — it didn’t die. The thyme has been remarkably successful — the last few weeks it’s been sending out delicious little soft green shoots. I also got my act together last weekend and organized my seeds. As you can see — my “system” is nothing fancy. 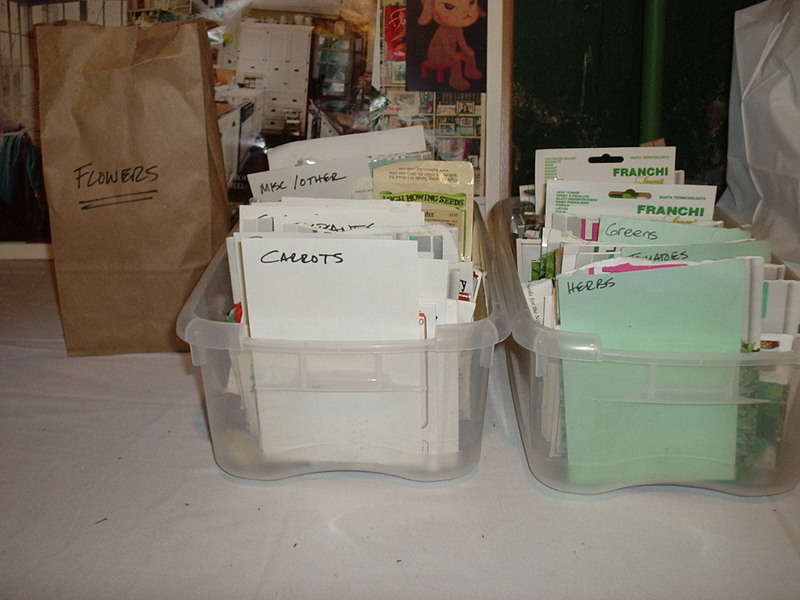 A couple of cheap bins from Pamida and a paper bag — but by the end of any garden season they’re a mess — some are in the basket with the cheapo tongue depressor/craft sticks that I use for garden markers (easy to write on with a sharpie, and they compost nicely), some wind up on the seed starting shelves, some sleeves were empty, in general, it was all a mess. So I went through and got everything organized by type — tomatoes, greens, herbs, cucumbers, beans, peppers, etc. Some people organize by planting order, but that’s too daunting and frankly, feels a little constricting. I know the spinach and broccoli rabe will go in first, but I’m never entirely sure beforehand what I’m going to put in next. So there we are — ready to start seeds this weekend or next, and ready to put some early cold crops in the garden beds. I don’t have a picture of those, but they’re starting to shape up. I loved the straw mulch I used last year, but it had a lot of seeds in it so there’s all sorts of wheat growing in my garden — and it overwintered just fine, so it must be winter wheat. At any rate, I had a lovely half hour or so after work last night turning over the soil in a couple of my raised beds, pulling all those wheaty bits out for the compost. I have two beds now that are all fluffy and ready for seeds. This weekend I’ll clean up the rest, and start with the cool-weather greens. I’m so excited! Another year! School Lunch, Opportunity for Change?